At Innovation Forum, the team and I spend a lot of time working out the complex answers to one simple question in each of the areas we work in. That question is: “What are the most difficult issues/challenges in this particular area?”. We then spend months, often longer (given events are often repeated) working that out, by talking to key actors and doing a lot of reading. The final list then ends up as a product. In our case, a conference agenda, given selling places and sponsorship for these is how we make a living. So once that is done, and if the event is successfully selling, we know we’ve done something right. So I thought, in a few blog posts, this being the first of them, I’d lay out some of these issues for readers, in the hope they might make useful reading. The politics of plastic: What are the likely legislation changes? 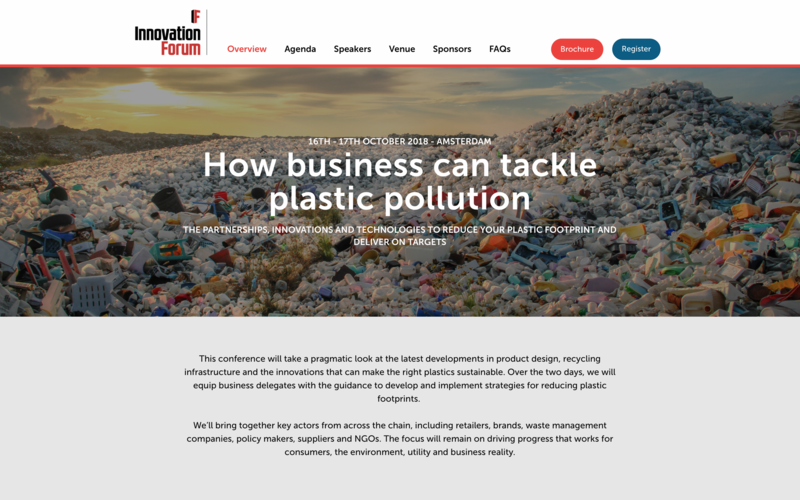 Will plastics hysteria be the kick the circular economy needs to succeed? Product design: What are the next generation of designers and engineers doing to develop the plastics of the future? Myth-busting and reframing the narrative: How do we get consumers to understand the nuances and the differences? Now, there’s a lot more to all this that just ten bullets, obviously. That’s why we’ve assembled 100+ big company representatives and other innovators to come to a conference space in Amsterdam in a couple of weeks and debate the above, and a lot more. We’ve done something right, to get 100+ big firms and other experts to sign up. Now we have to deliver insightful debate. I hope you can join us.